For the best views of the city I would start with a visit to St Mary's Church. 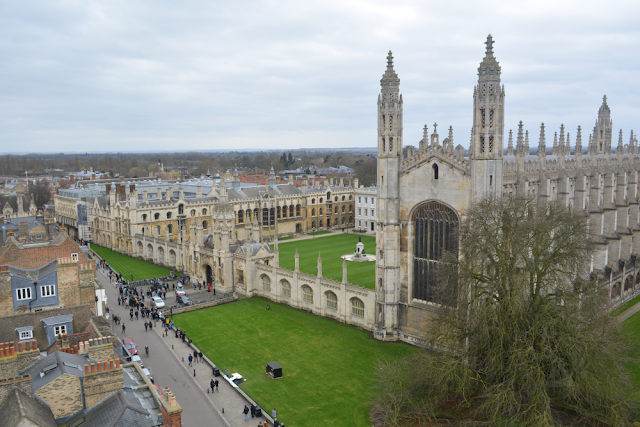 Located in the center of Cambridge it offers a great panoramic view of the city. It's a working church so you can have a quick look around before climbing up the narrow staircase for an overview of the local colleges, markets and architecture. Tickets are £4 for entry to the tower with a small discount for concessions. Once you've climbed down from the tower have a wander around the city center then make your way to one of the local colleges. 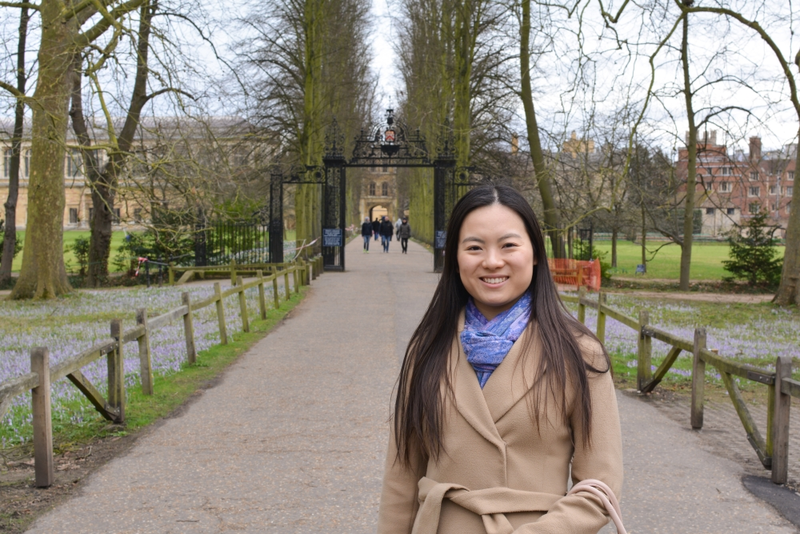 King's College is one of the most famous and the Chapel is just stunning but I'd also recommend making a short walk to Selwyn College for it's beautiful gardens, especially in the Spring or Summer. Whatever college you choose, soak in the atmosphere and if you're anything like me it'll no doubt take you back to your own university days. 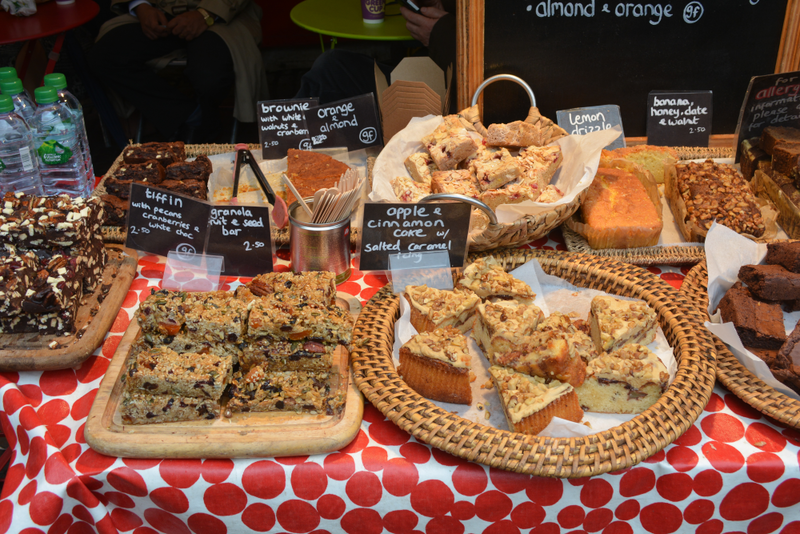 For a quick snack our favourite was Market Square. A decent sized market with stalls selling everything from dim sum and burgers to artisan breads and cheeses. I'd recommend having a walk around, sample some of the delights on offer and if you can stock up on some local produce to take home too - the cheese stalls in particular have so much choice on offer. 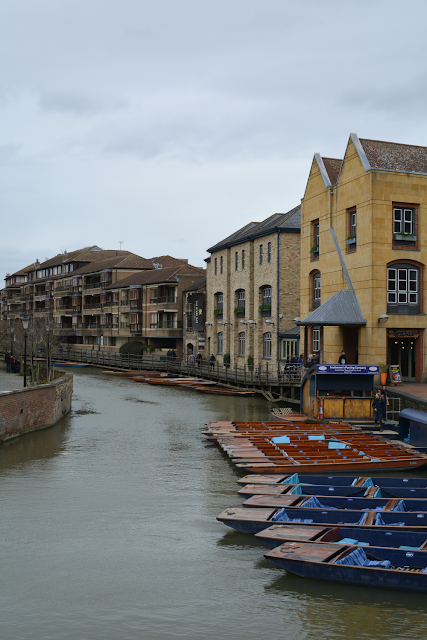 Officially called the Wooden Bridge, this is the most famous bridge in Cambridge. Despite the arch shape it's actually built entirely out of straight timbers hence the nickname. 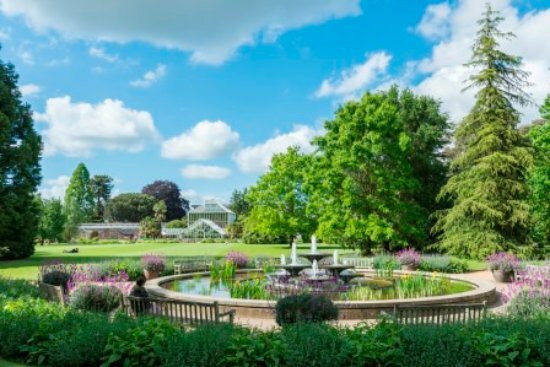 Popular myth is that there are no nuts and bolts holding it together and although not true it's still worth a visit, especially as the surrounding area is so picturesque too. 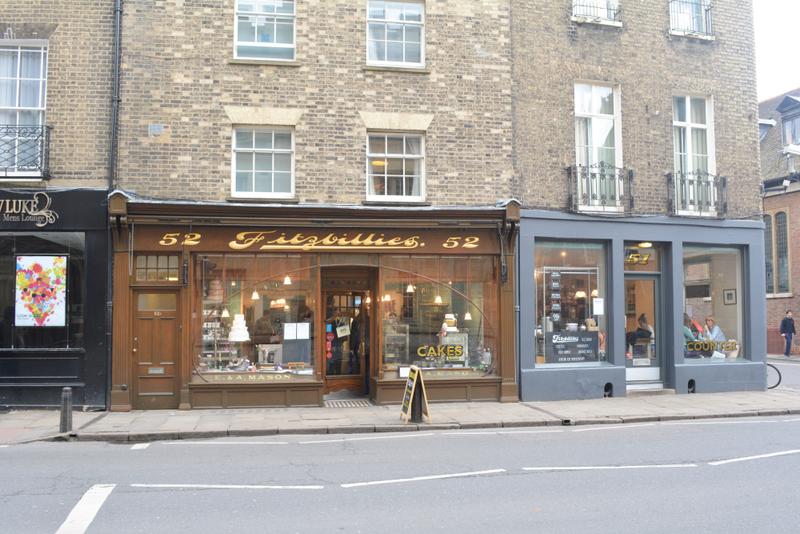 Another Cambridge institution - Fitzbillies has been serving sweet treats to locals and visitors since 1921. 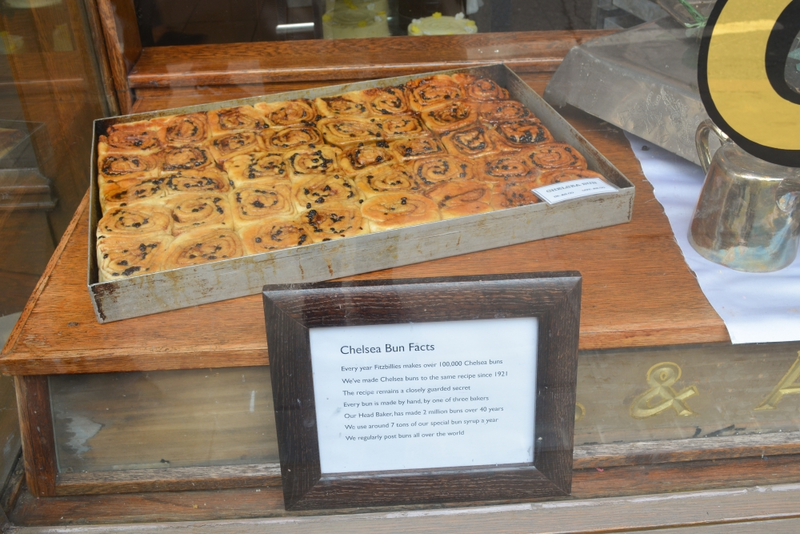 There are now 2 branches serving afternoon tea and their famous Chelsea buns. In particular I loved the traditional feel of their Trumptington Street branch and they have some of the prettiest window displays around. If the weather allows then make sure you book in for a punt along the River Cam. If you're visiting in Winter like we did then make sure you have a hot tea/coffee or enjoy a glass of Pimms in the summer as you're taken on a scenic tour of the city. 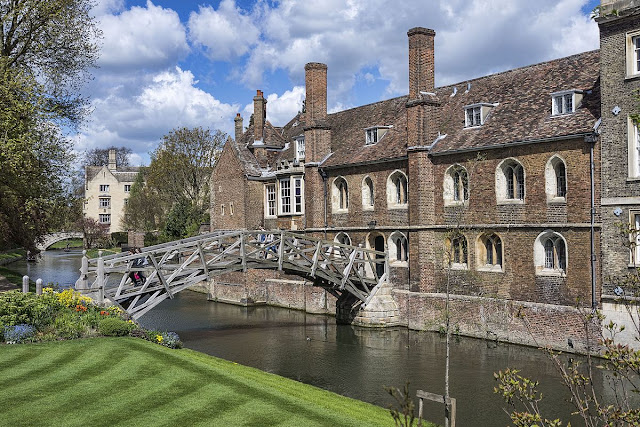 It's a great way to explore and discover more about Cambridge, taking in the stunning architecture, bridges and hidden views of the some of the most famous colleges. Another quick site to go and see. 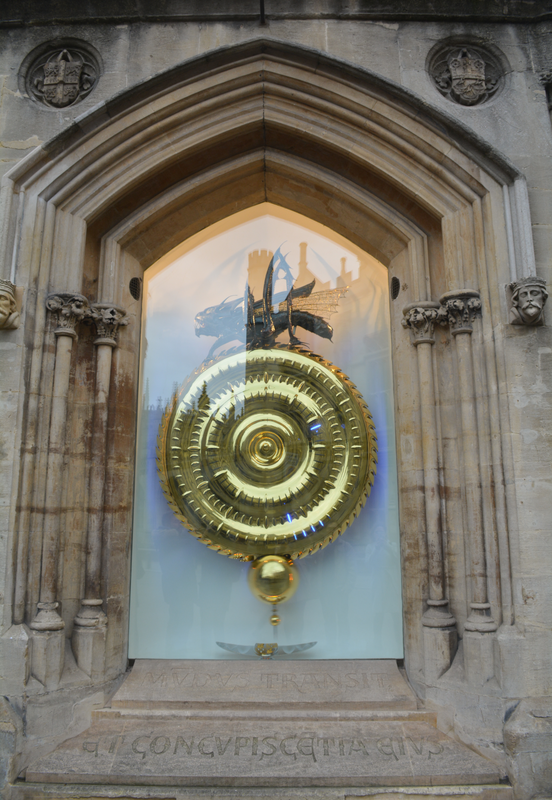 Officially unveiled by Stephen Hawkings the clock is made up of an striking 24 carat gold plated disc with no hands or numerals. Instead it displays the time by opening individual slits within the three rings which are lit up with blue LEDs to tell the hour, minutes and seconds. When you're visiting a city as steeped in history as Cambridge you can't not enjoy a traditional English Pub. There are so many to choose from but we stopped off at The Granta which had a nice view and an outdoor balcony for the Summer. It seemed popular with the locals too as there were a good mix of university students and families. 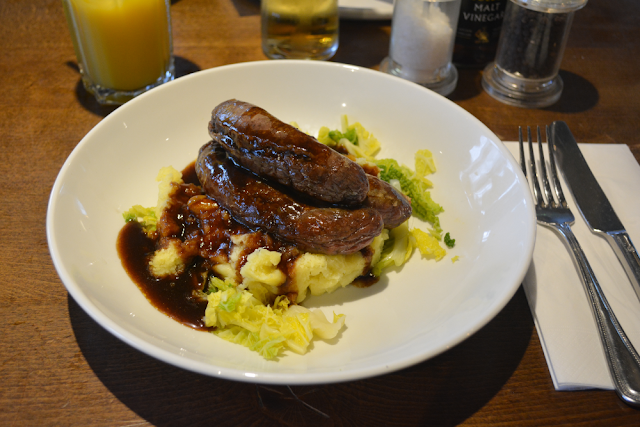 My top tip would be to avoid the burger and instead go for a hearty bangers and mash, all washed down with a pint or G&T. 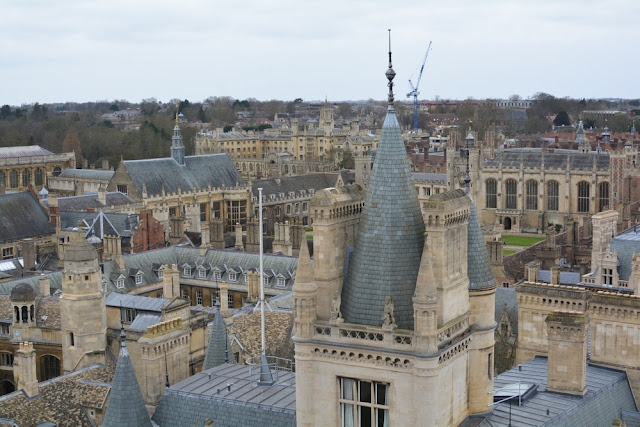 For a dose of culture and education why not visit one of the many museums that Cambridge has to offer. We stumbled upon Fitzwilliam Museum which is the most famous and offers a large collection of art and antiques. 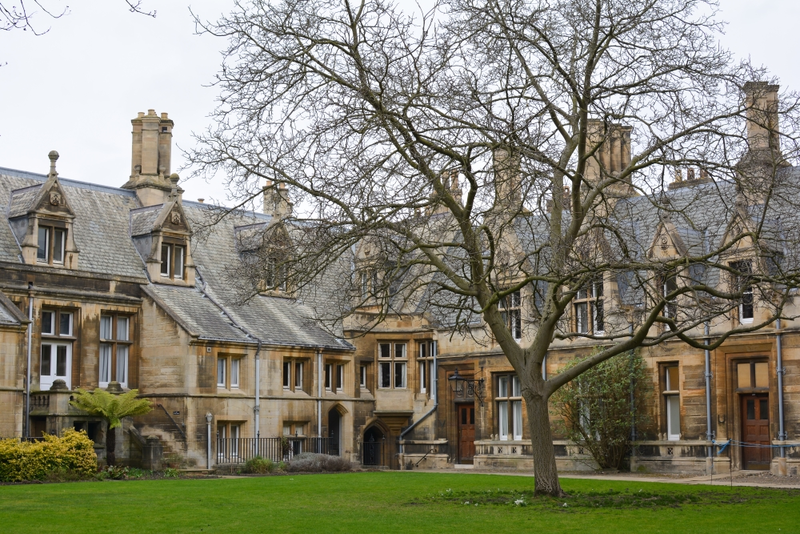 There's also the Whipple Museum which houses scientific model and instruments as well as The Centre for Computing History to name but a few. 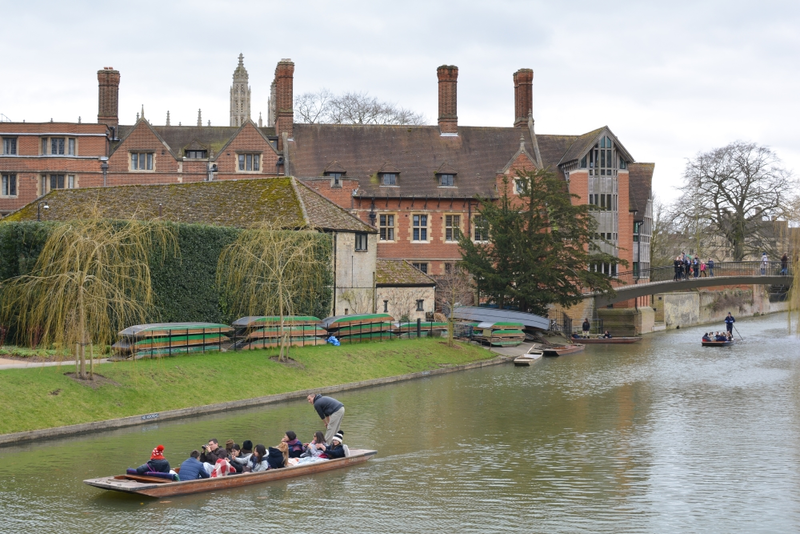 Have you ever been to Cambridge? 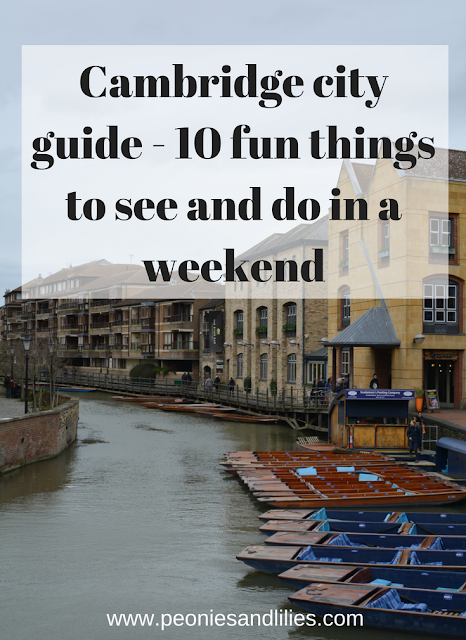 What are your favourite things to do in the city? I've been to Oxford but I can't tell you how much this post makes me want to go to Cambridge! I love these university towns, I think because they just feel so much like a fairytale to me and like I'm in Harry Potter.